The two most important tools you need to start your home business. How to find the energy to start your home business. How to find the perfect home business to start. The easiest way to raise capital for your home business. The 3 characteristics you must have to guarantee success in your home business - my secret weapons. How to build and maintain momentum in your home business. How and when to launch your home business. The class will be streamed live DAILY on a webinar link that will be sent to you a day before the webinar. I will teach for 30 minutes and then there will be an opportunity for you to call in on Skype / a designated number to ask your questions or by simply typing your questions as comments. 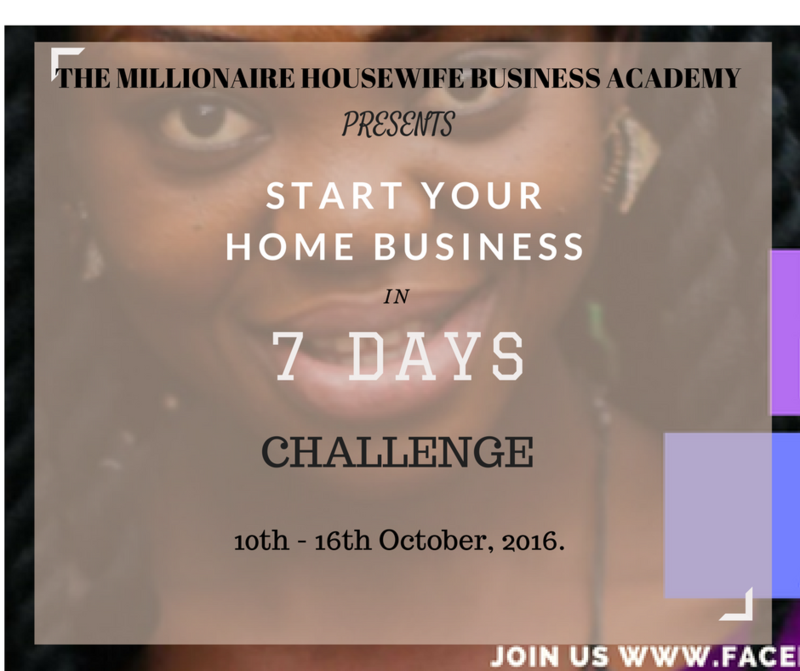 This is an intensive class that is bound to set you in motion for the next phase of your business life. This webinar will be free only if you attend live because after then, the recordings will be packaged as an online course to be available for a token fee of $25 / N10,000 only.